The owner and designer at Faithful Flowers, Lindsey, has been working in the industry since 2002. This artist is focused on making wedding arrangements, bouquets and all wedding flowers that are specific to the couple and the style of the event. This is something that sets this floral artist apart from the competition. According to reviews, when you combine this kind of personalized experience with a gorgeous selection of flowers, the talents of Lindsey, the freshest and most colorful flowers and the flexibility of the artist, you really cannot beat working with this company. Wedding flowers are not always the most affordable aspect of planning and decorating for the big day, but they do provide an element of romance that nothing else could. 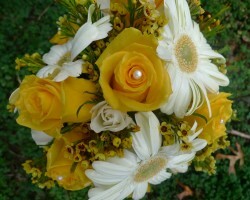 You can order your arrangements from Smiles with Flowers. 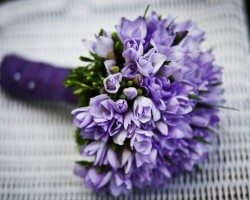 You can choose from some of their pre-designed bouquets or work with the experts in the store to come up with an arrangement that matches the color scheme and the style of your wedding. You will never be disappointed when you work with this Corpus Christi florist. There are plenty of sterile flower shops for you to choose from but only Creations By Hope offers a personal experience for couples that seek the help of this company to provide their wedding day flowers and decorations. From centerpieces to providing flowers for the bakers to use to decorate the cake, this company offers all of the customized arrangement services you could possibly need. 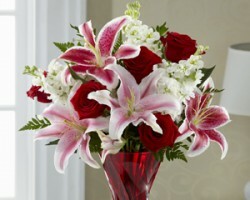 They even offer flowers delivery in Corpus Christi on the big day or whenever you need them. Tubbs of Flowers was established in 1946 and has been providing the residents of Texas with the most beautiful flowers and arrangements ever since. This shop is open throughout the week so you can stop in and talk to one of the experts in the store at a time that is convenient for you. 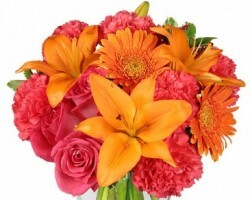 This shop also offer 24-hour secure ordering online so you can get the flowers you need whenever is easiest for you. This shop offers fresh and fragrant plants and vibrantly colored flowers that make for the perfect addition to any wedding. Whether you are looking to place a large order for wedding day flowers or are looking to send a loved one an arrangement to celebrate a special occasion, Banda’s Nursery and Flowers can do it all. This florists in Corpus Christi is the go-to shop for many local residents. 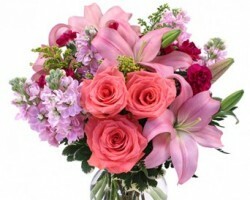 You can work with one of the professionals in this hop to customize the flowers and the arrangements that you would like. This is a great feature when you are ordering wedding flowers as you can get centerpieces, the bouquet and boutonnieres all in one place.